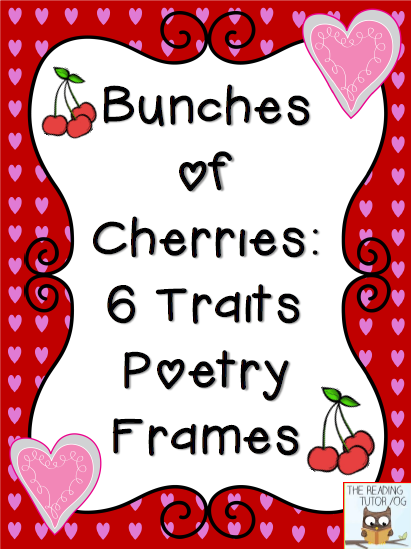 I don't know about you, but I just love teaching writing, and I especially love writing poetry with my students. It gives us an opportunity to work on fluency, figurative language, and all of those poetic elements and take that study a step further by applying our learning to the creation. Emily's unit would work well for a range of levels. 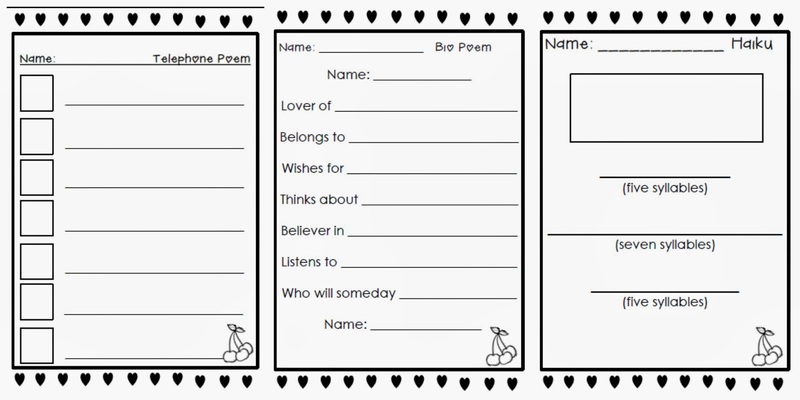 It includes a different poem type focusing on each of the Six Traits-Ideas, Organization, Word Choice, Conventions, Voice, and Sentence Fluency. Here's a glimpse of three poetry pages. What I love about this set is that Emily included a very simple and easy to follow direction sheet for the students. She chose a font that is easy to read, and the end products will look great backed with construction paper and displayed. The most wonderful thing about all of this is that it is available for the best price ever...Free! 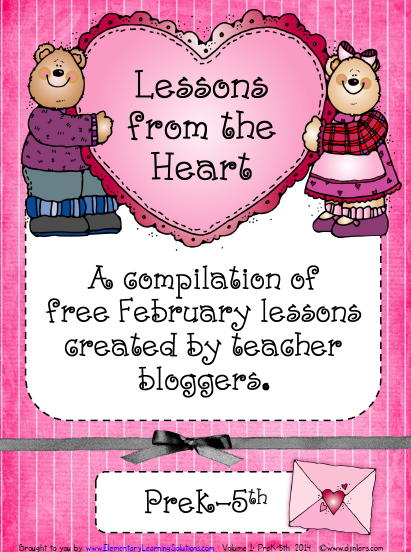 Just click on the link I shared for Lessons from the Heart. Emily's unit is located in the middle. In other news, I posted today at Adventures in Literacy Land. If you'd like to check out that post about parental involvement, just click the icon below. Now, only one more day readers, and then...it's the weekend! Thanks for dropping by, and until next time, happy reading! Well I feel so lucky to have it Emily, and I know my students will enjoy putting their books together too.